Style by Celebrity News and Gossip, Celebrity Fashion Guide, Celebrity Beauty tips, Celebrity Hairstyles 2013, Celebrity Style 2013 and more! Michelle Williams wore her short blonde hair slicked down and slightly to one side at the 27th Annual Independent Spirit Awards in Santa Monica. Michelle wore a buttoned up white blouse under a fitted black blazer with matching dress shorts. Maria Menounos saves money by getting her cheapest clothes tailored to look expensive. 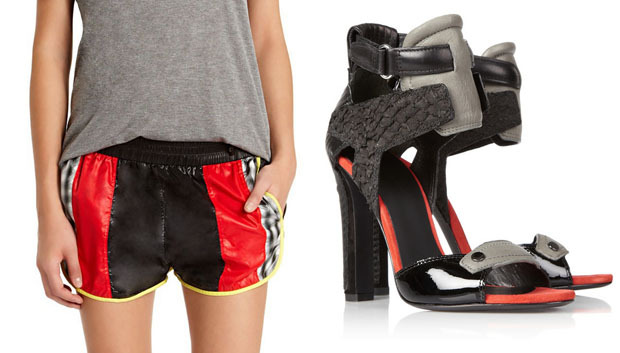 Will you be taking this tip from Maria and hit up a tailor to make low-end pieces look high-end with the right fit? After Lady Gaga’s performance in Times Square on New Year’s Eve, she was spotted leaving the stage wearing a Chanel suit. 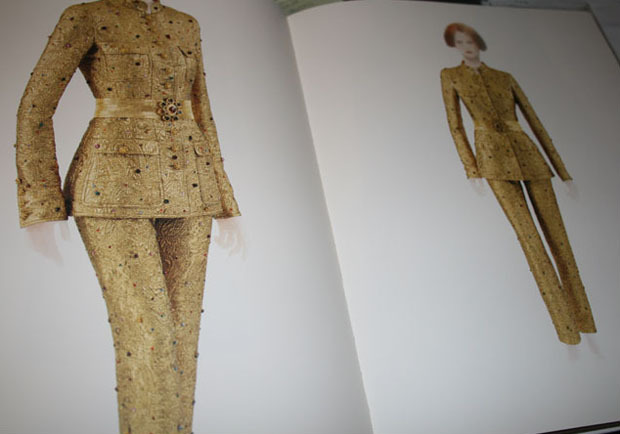 The gold suit embroidered with multi-colour crystals is from the Chanel Prêt-à-Porter Autumn/Winter 1996-97 collection. From the picture below, the suit was originally presented with a gold belt, but Gaga opted for a black suede Chanel belt with gold medallions. Vintage Prada sunglasses, yet another pair of Christian Louboutin ‘Daffodile’ pumps, this time in gold, and a Chanel Mademoiselle bag completed her look. I much prefer the original belt with this suit.